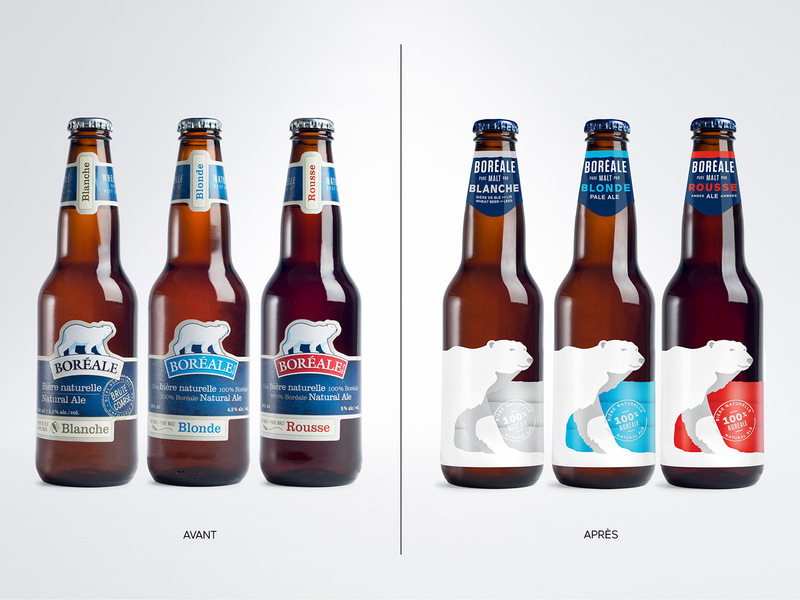 Refreshing the Boréale image meant combining a valuable heritage with new market challenges. 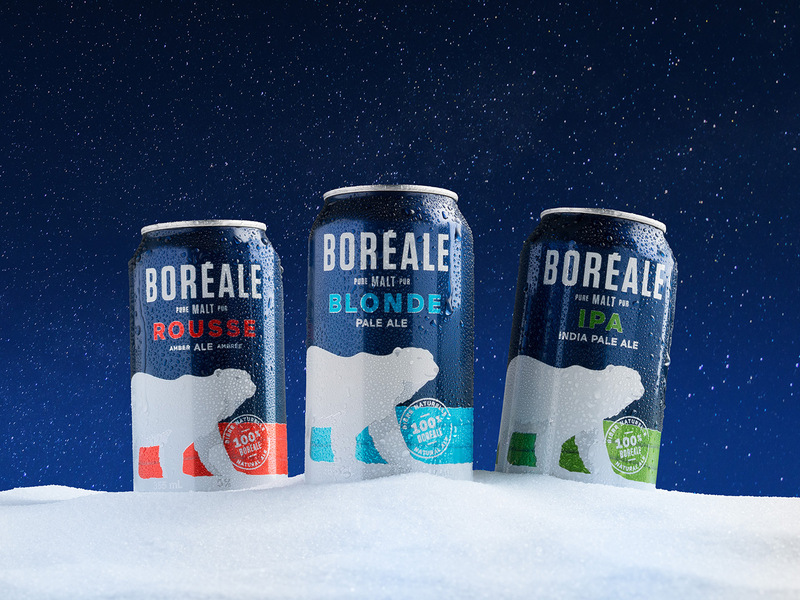 The refreshed identity, deployed throughout the brand’s ecosystem, needed to stand out amongst the 175 microbreweries now in Quebec, so Boréale proudly kept the polar bear emblem, reminding fans of its origins in the Lower Laurentians, but freed him from his iceberg, allowing him to explore new beer-drinking territories. 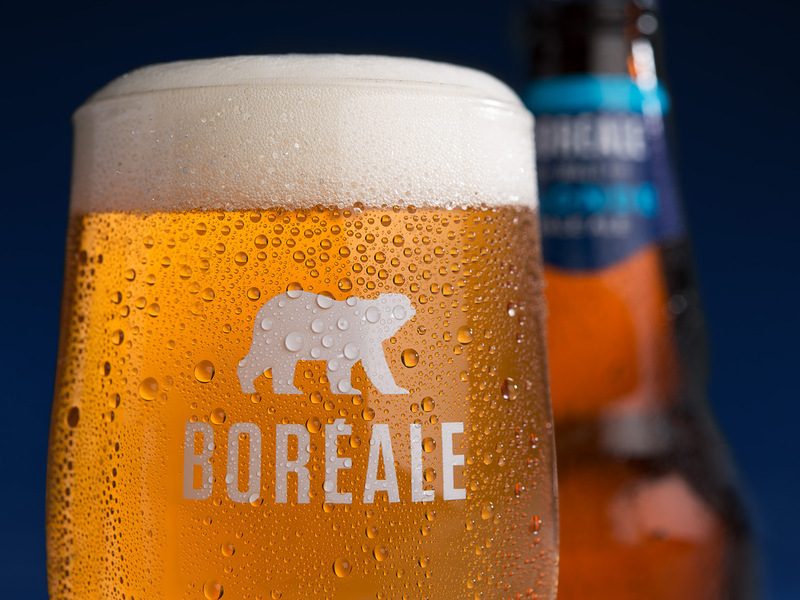 The bear represents the rejection of the superficial and the thirst for freedom that is still so important to the founders of Boréale. 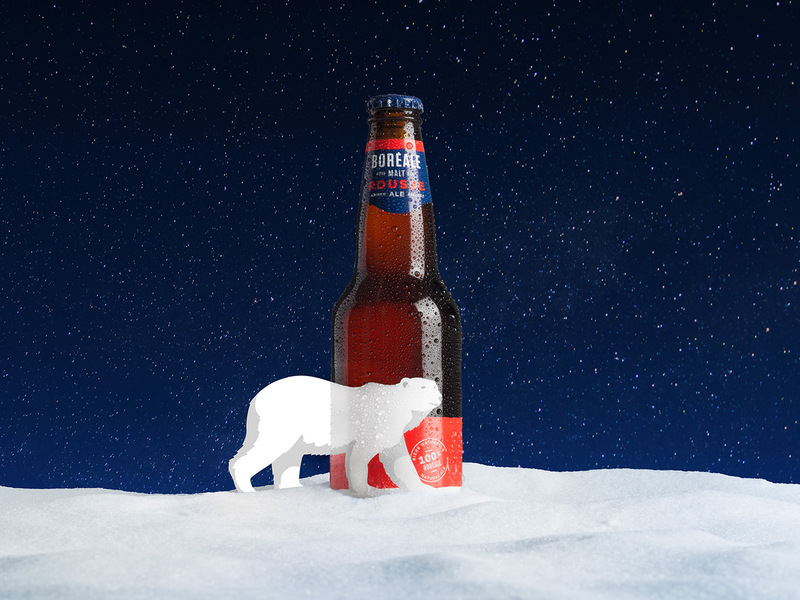 The brand invites beer lovers to let loose their inner bears and celebrate life naturally. 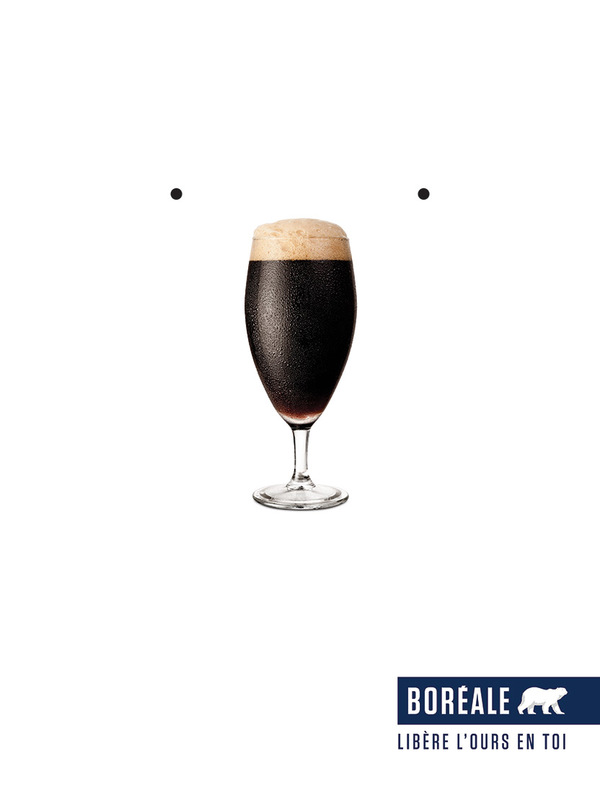 The bear in you should try it. 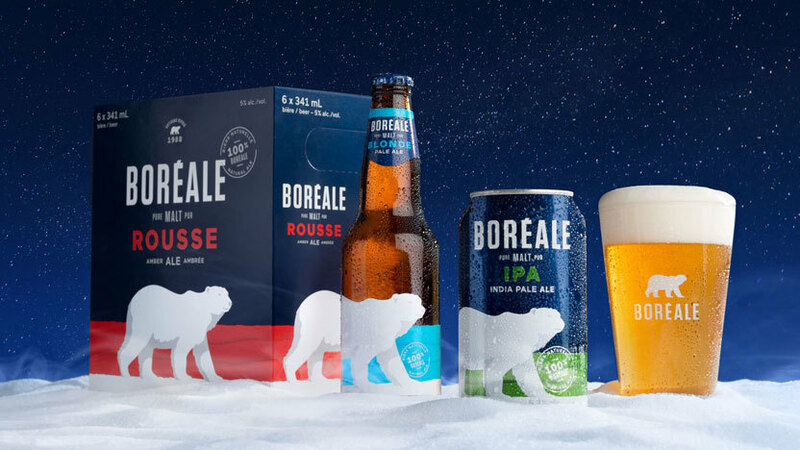 The Relais Boréale is found in the Laurentian home of the Boréale brewery and was designed to let beer lovers enjoy the brand in its natural surroundings. The distinguishing feature of this unique space is its tasting wall, which allows visitors to discover a variety of exclusive brews in a more personalized space. The store also offers a selection of clothing, beer glasses and other branded accessories featuring Boréale’s famous polar bear icon. The architecture was designed to create an intuitive journey for the visitor, naturally immersing them in the world of Boréale throughout their entire visit. 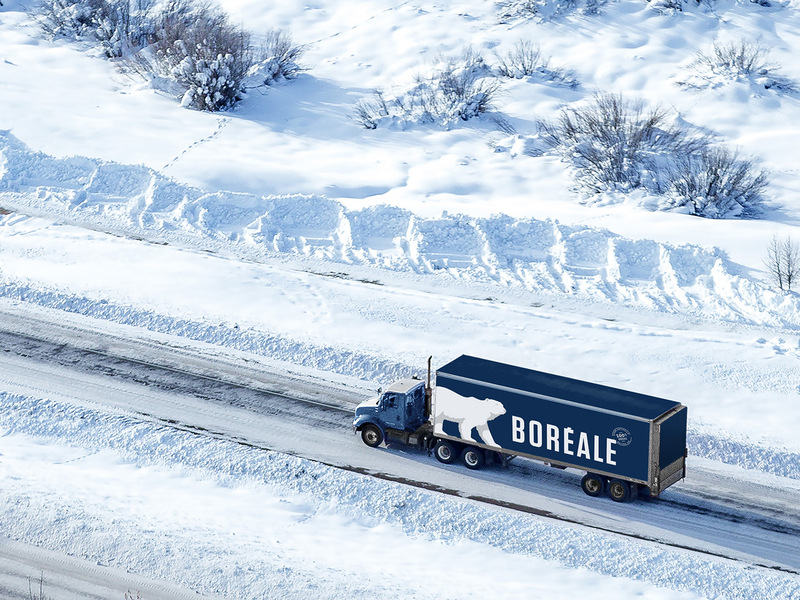 A variety of Quebec materials were used in its construction, such as oak, concrete and plywood, demonstrating the brand’s commitment to the nature surrounding its home. 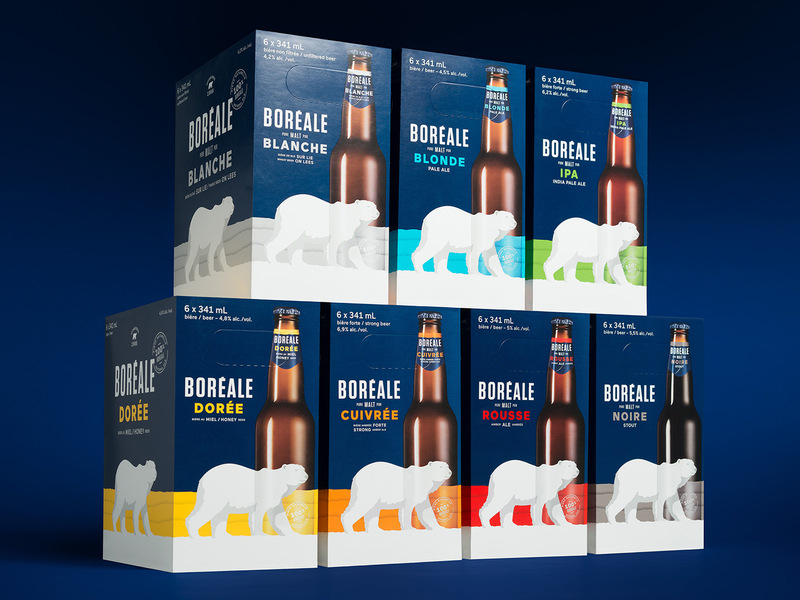 The Boréale brand was refreshed everywhere, from the logo to the packaging and promotional items, so that younger consumers who didn’t grow up with the brand would be tempted to try it. 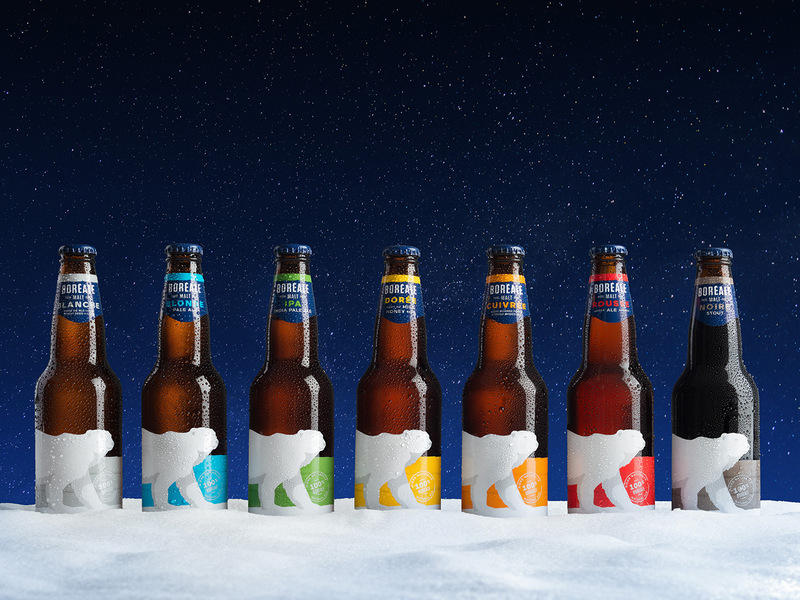 The sleek typography contrasts with the bright colours used to identify the variety of brewed beers while the bear icon always remains in the spotlight. 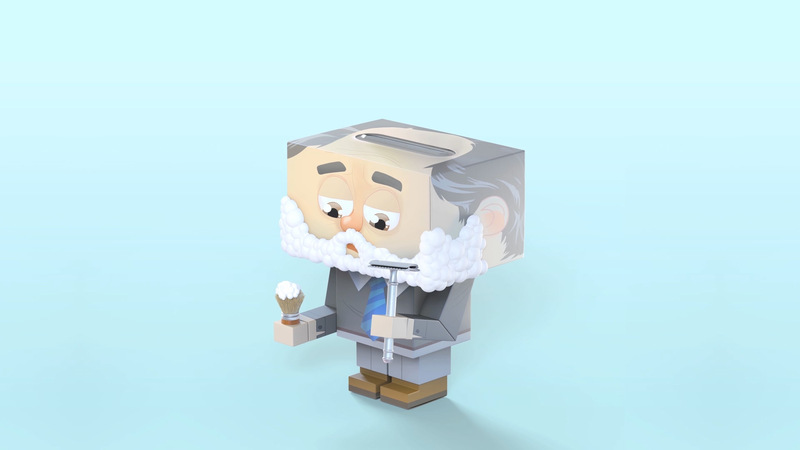 The product information is also clearer in the new identity. 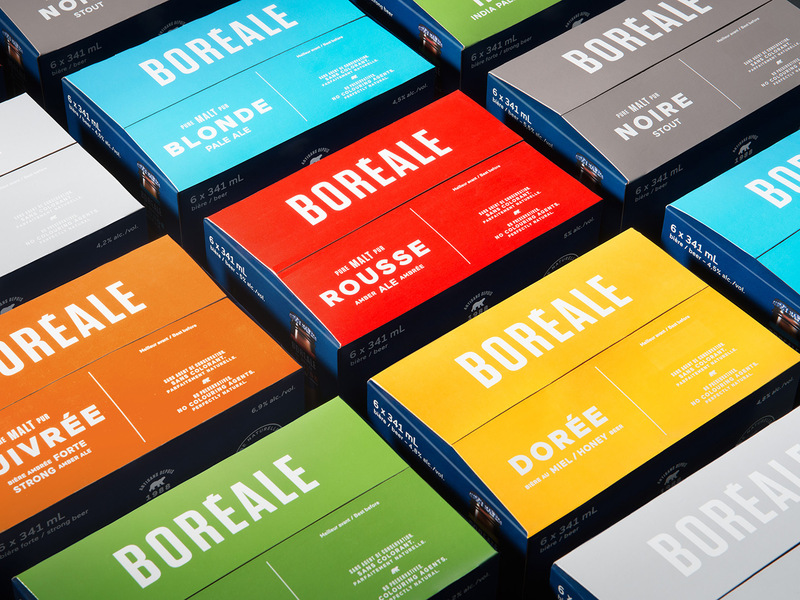 By combining aesthetics and utility, the imagery developed maximizes on-shelf impact and contributes to greater awareness in the broader point-of-sale network. 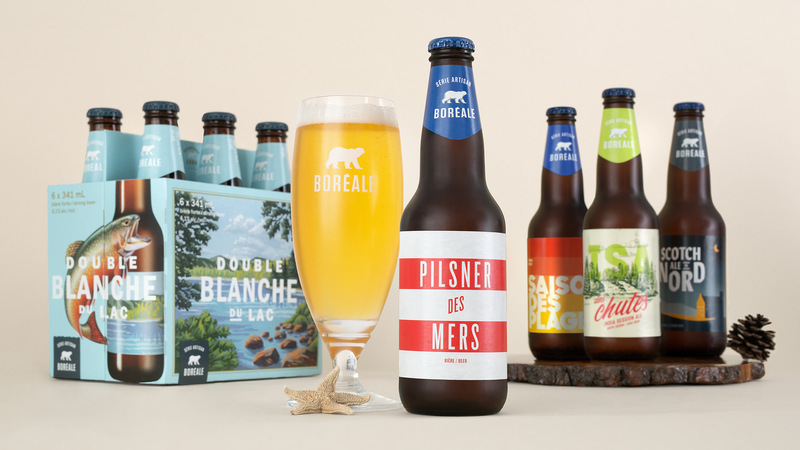 In order to become more entrenched in the drinking choices of today’s beer lovers, two new product lines were developed to complement the Classic lineup: the Artisan series, niche beers with a unique identity; and Episode, a seasonal beer program available for limited times and in limited quantities. 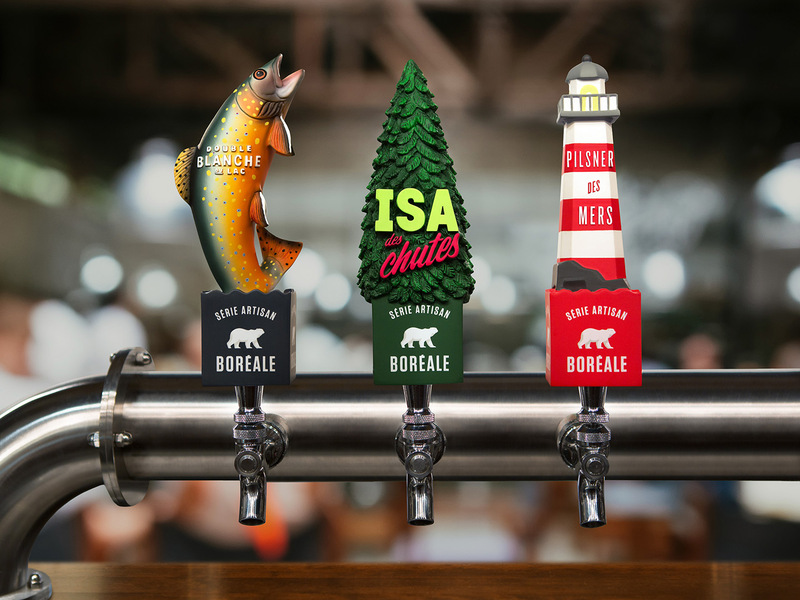 Pioneers of the microbrewery industry in Quebec, Les Brasseurs du Nord has been innovating for more than 30 years. Emphasizing an artisanal approach, they produce all-natural beers, including Quebec’s very first red. 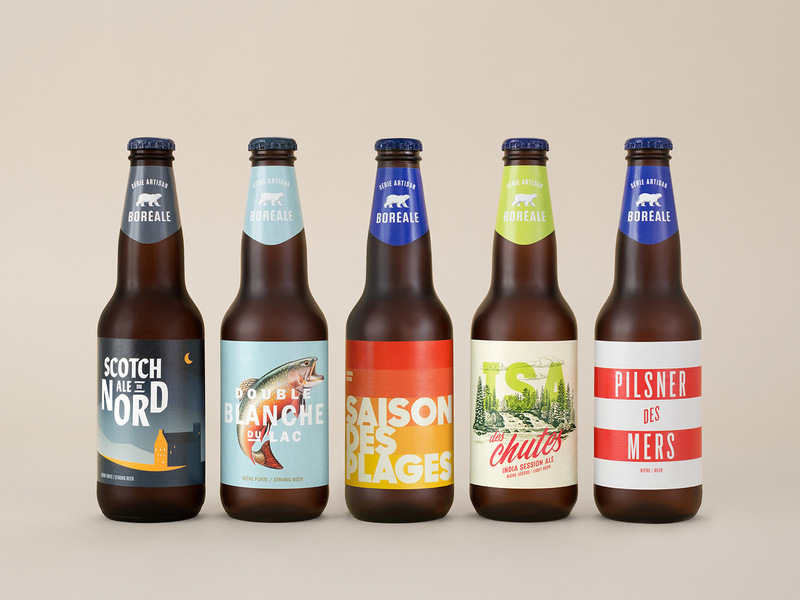 They developed the Classic line, which includes a blonde, white and IPA, the Artisan series, with names such as India Session Ale and Beach Season, and the Episode series, specialty beers that are only offered for a limited time. Scotties is the tissue for any issue. Read the case study.